Founded in 2009, Passerine has been featured at music festivals around the state and has been touring nationally since 2012, playing every sort of venue from intimate listening rooms to big festival stages. 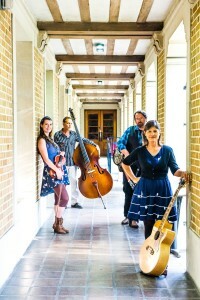 Their music occupies a zone somewhere between modern folk, progressive bluegrass, and what is loosely called “Americana.” With original songs as well as their own arrangements of traditional songs, Passerine hopes to carry on the living tradition of acoustic folk music rooted in popular experience, memory, and shared wisdom. In this quest, they have found inspiration across a wide musical spectrum: from Ralph Stanley and Bill Monroe to Lucinda Williams and Old Crow Medicine Show; from Bob Dylan and Neil Young to Cracker and the Black Keys, from Kate Wolf and Nanci Griffith to Amy Winehouse and Neko Case. 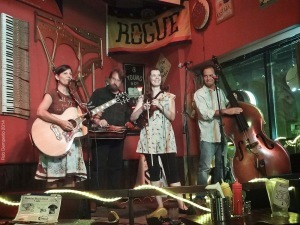 By combining diverse musical interests with instrumentation usually associated with a traditional string band, and with vocal harmonies that sometimes move outside the usual structures, Passerine has created a sound with a personality that is both familiar and unique, whether the song is a sweet ballad, a foot-stomping bluegrass tune, or one of their more rocking originals. The band was formed in 2009 by singer/songwriter Carmela Pedicini and David Brain (dobro). 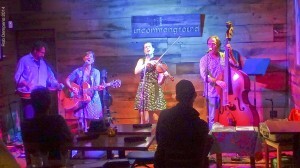 Pedicini had already established a regional following as front person for “Radio-Free Carmela and the Transmitters.” Sara Moone (vocals, violin) combines classical training with her western Kentucky roots to achieve great versatility across musical genres from punk and psychedelic rock to Passerine’s version of Americana. Originally recruited only as a violinist in 2011, Sara has stretched her wings as a vocalist and a songwriter in her own right. 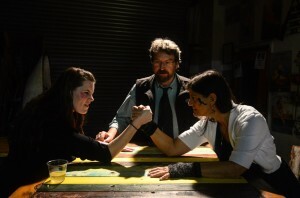 Carmela, David and Sara quickly settled in as the core of the group. “Transmitter” Doug Conroy (bass, vocals) joined up in 2014, earning his Passerine wings on their 6,000 mile “Northern Loon” tour (with 23 shows in 25 days). Their “Northern Loon Tour” (2014) was their third national tour. Over the past couple of years, the focus has been on festivals and gigs across Florida—including headlining at the Sarasota Folk Festival, the St Pete Folk Fest, Creekside Music Festival, Florida Folk Festival, Gamble Rogers Festival, Will McLean Festival and the South Florida Folk Festival. Passerine has also played Riverhawk Music Festival, Tropical Heatwave in Tampa, and the Gulfport Springfest. They were voted “Band of the Year” at the very diverse Deland Original Music Festival in 2012, and took home an award for “song of the year” in 2011. In 2017, the band took on their first European tour, with a month-long circuit in Germany. Carmela and Sara branched out in 2014 to add a theatre credit to their resumes. 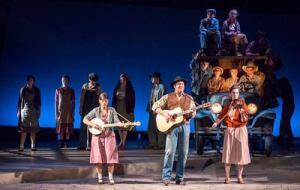 They were cast as musicians, working with singer/songwriter Tim Grimm to provide the music for a major production of Frank Galati’s Tony Award winning play, “The Grapes of Wrath,” at the Asolo Repertory Theatre. 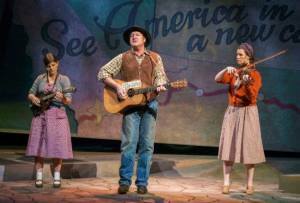 For this production of a play closely based on Steinbeck’s well known novel, Carmela and Sara were given the opportunity to explore the music of that period, performing songs by Woody Guthrie and the Carter Family, as well as original compositions in the spirit of those difficult times. All in all, 2014 has brought a new surge of songwriting creativity and the band is looking forward to sharing several sets worth of new material as they take off on their summer tour. The group released their first full-length CD, “Another Song About a Bird,” in July, 2012. Their second CD, “Nest of String,” was released a year later in 2013. Their 3rd CD, entitled “Harbingers,” was released in June, 2016. Passerine is the common name for the order of birds that includes not only songbirds known for the sweetness of their songs but the raven, a bird known in myth as the companion of deities, as a courier who inspires laughter and reveals truth, and as a trickster whose appetite for life brings wisdom, healing and great acts of creativity.